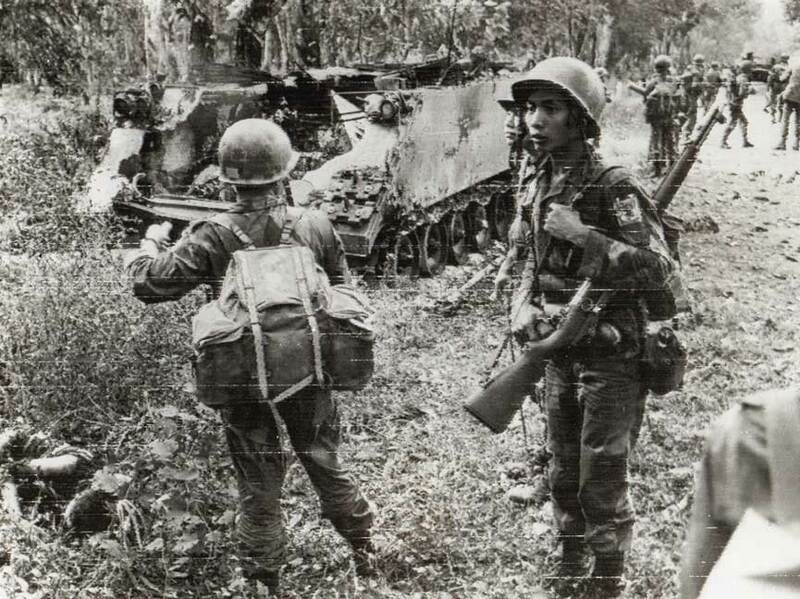 A six day battle around the village of Binh Gia ends with a clear ARVN defeat. Two hundred of their best troops are killed, and three hundred are wounded. Five Americans are killed and three are declared missing. On December 27, 1964 Vietcong troops captured Binh Gia a Catholic community 60 miles to the east of Saigon. Saigon sent elite forces together with Vietnamese Marines. On December 31st waiting Vietcong troops ambushed the Vietnamese troops as they approached and killed our wounded 196 troops. On January 3rd the ARVN 35th Ranger Batta.